Ladakh – the dream destination for the intrepid motorists! Nearly 1000 kms of the High Himalayas, climbing up from heights of 2000 metres to 5500 metres, the richness of Buddhist culture, tales of amazing landscapes, experiences & escapes. Yes, any car can do it, but check if YOU are medically fit. Starting from Srinagar, the golden fields of Sonamarg blend into the browns & yellows of the Ladakhi terrain after crossing the once-upon-a-time treacherous Zoji la. 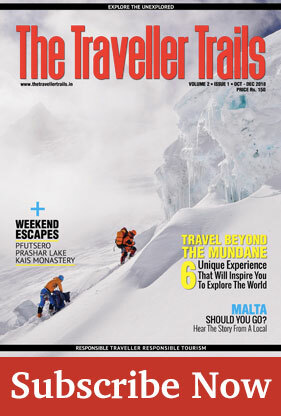 The Dras Valley – apparently the second coldest inhabited place in the world – with its views of Tiger Hill & the Kargil War Museum, besides the mystic SwargaRohini circuit enthral the most hardened sceptic, even as the Pakistanis are standing vigil just over the hill. From Kargil onwards, you are racing on excellent winding roads past some of the most incredible mountain vistas – and also the Standing Buddha at Mulbek, the richness & grandeur of the paintings, tapestries & prayers at Lamayuru Gompa, and the lunar landscape seen from its windows. Follow the Indus River all the way to Leh, past its sangam with the Zanskar River at Nimmu. Wonder what causes the “magnetism” that appears to “pull” cars at Magnetic Hill. The callisthenics in the middle of the long straight road in the backdrop of the snow-clad peaks around Leh! The Leh – Manali road is a roller coaster of high passes – highlights being looking down at the More Plains from the heights of Tanglang la, the remoteness of the Pang & Sarchu camps, sightings of the Ibex, Yaks & the Kiyangs, the ruggedness of McKenna’s country and nature’s brutal art on the mountain sides, the spectacular views of the Tsarap Chu river descending the 21 bends of the Gata Loops, the beauty of the snow at Baralacha la, photographing the spectacular sun rises of Keylong and eventually the climb up & down the Rohtang Pass to enter the Kulu Valley at Manali. 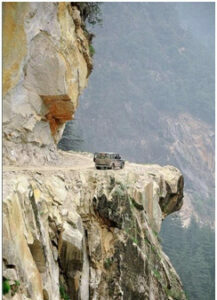 Open for just 6 months, the drive on the Srinagar – Leh – Manali highway can take 4 days. 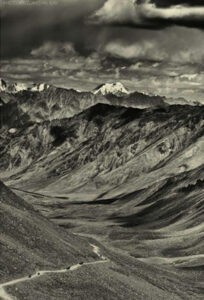 Don’t forget to take time off from Leh to visit the Nubra Valley, the Pangong Lake & the high radio telescope at Hanle. This route is for very capable motorists only; expect limited facilities en route & be prepared for disruptions any time. 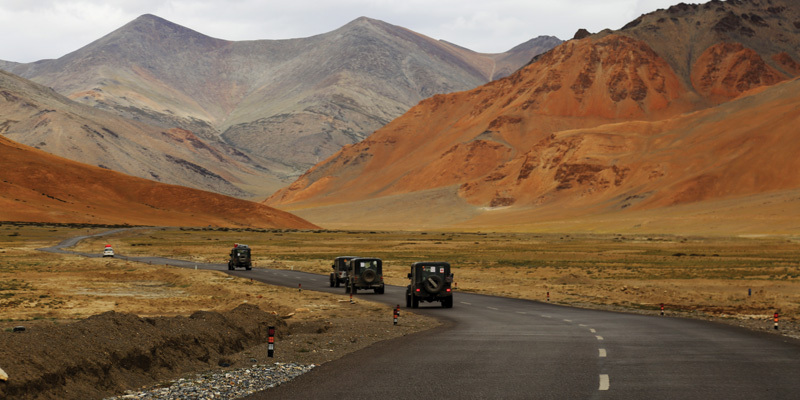 You may not find Shangri la, but the Ladakh drive will be definitely a lifetime dream drive. Sagar Se Samundar tak – the Western Ghats tumbles down into the Arabian Sea on the Konkan Coast! And there is a 500 km long highway all along from north to south of Maharashtra – no other State has a comparable coastal highway. The beaches are idyllic & mostly unknown, the temples venerated for generations, both the veg & sea food unique to this region. 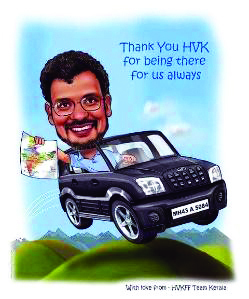 Ideally, start your drive from Alibag just south of Mumbai. The roads are winding, narrow & pass small fishing villages & towns associated with famous personalities of yore; your car will board a boat ferry 4 times. The Beaches – simply the most beautiful, yellow sands, clear seas and bordered by cliffs. The Temples – one around every corner, you can bow down to every deity in the Hindu pantheon, each with a long history to recite. The Forts – on the land, in the sea, atop the mountain – each one a reminder of the glorious past this region has, having sheltered the Marathas as well as the invaders from across the seas. The Cliffs – nowhere in India can you drive on so many roads along the sea shore, many of them almost falling off the cliff! The Food – to delight both the vegetarian & the sea food eater, cuisine unique & ethnic beverages. Don’t expect to be pampered by hotels with swimming pools & spas, but if you are the kind who loves to stay in homestays, you won’t be disappointed. The MSH4 – as this coastal highway is named – ends at the border of Goa, from where you could easily connect to by road to large cities like Bangalore & Hyderabad. Plan a leisurely drive over 3 – 5 days, depending on what you wish to do – just drive, worship, climb up forts, play water sports or just chill. Are you going to post selfies from these places – Janjira, Aadgaon, Harihareswar, Guhagar, Hedvi, Ganapatipule, Ratnagiri, Ambologad, Kunkeshwar, Malvan, Tarkarli, Bhogwe or Terekhol? Well, these obscure places are part of a world most don’t know exists, but whether you drive on the MSH4, during the rains with its bright green landscapes or in the winter when it is all brown, you will cherish lingering memories. 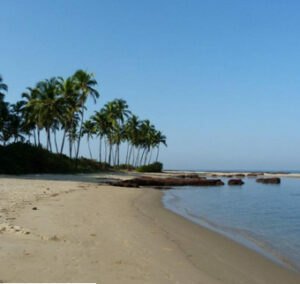 Beaches, Mountains, Forts – Uniquely the Konkan. They will all ask you – WHY? If your answer BECAUSE IT IS THERE echoing Edmund Hillary, then this drive has to be in your bucket list. Don’t look at the dictionary for the meaning of the term Cliffhanger – no connection with the famous movie …..but if your car falls into the deep abyss below the road clinging to the mountain, you are in for a dramatic ending! Once you leave Keylong in the Lahaul Valley, you transit into the Pangi & Kishtawar Valleys, on a road that cuts through apple orchards & green fields high above the Chandrabhaga River. The tyres start crunching the gravel & the boulders as it reaches the small village of Killar. The “road” after that has been termed the most dangerous road in the world – narrow enough for just 1 vehicle in many places, is sliced out of the cliffs for over 30 kms, the valley a deep dive down – no one will ever know if you went down! After Gulaba, you are driving fast through the beautiful orchards of Kashmir till you reach the town of Kishtawar, from where you can branch off to either Jammu or Srinagar. Don’t worry about having to give way to any oncoming vehicles on this narrow road – heads or tails, you win the toss, because there will hardly be any. Forget the things you are used to in highway drives – no petrol pumps, no restaurants or hotels, no trucks, no mobile connectivity, you can truly be at peace with yourself through this drive. Even the Devil will envy you for the photos from this road, not just the neighbour. 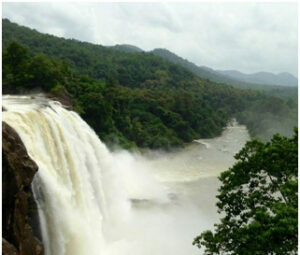 If you wish to drive through a tropical rain forest, get off the National Highway near Kochi at the town of Chalakudy. First, gawk at the ferocity & grandeur of the Athirapalli Falls, which has been made immortal thanks to incessant promos for tourism in the God’s Own Country. Second, check if you are not running late because the road ahead is closed from sunset to sunrise. Third, get rid of all plastics because the cops dislike you littering these lush green reserve forests that hold the key to India’s monsoon riddle. Beyond the Vazhachal Check Post, the road narrows and the sunlight sometimes does not penetrate, the tall bamboo often forming arches on the road. The Chalakudy River roars alongside, but tune your ears sharp enough to hear the trumpet of the wild elephant & your eyes wide open to spot the huge gaur in the dark of the thick jungles. Noise decibels can be very high in some places where the giant cicadas make their mating calls. This can be a dangerous road if you do not heed the wildlife around you. A couple of hours later, you cross over from Kerala into Tamil Nadu at Malakkiparai, where you will then drive through verdant tea estates, the highest in India as you reach the small tea county town of Valparai, but not before you are weary of clicking fabulous photos of the beautiful landscapes around the Sholayar Dam. They say that Valparai holds the secret key to the theory that India was part of the supercontinent of Gondwana millions of years ago – the anthropologists & botanists have even found a frog that populates only Valparai & Tasmania! Surely India’s most beautiful forest road. Tezu 200 Kms from Dibrugarh, the eastern most point in India? And you thought India ended there? Kibuthu – 200 kms further east of Tezu, the easternmost motorable road in India! The East of the North East! The Lohit River – tributary to the tempestuous male river Brahmaputra – breaks the way for the road from Tezu to Kibuthu all the way, with some of the best riverine landscapes, houses of bamboo built on stilts and hanging bridges over the waters raging below. For decades, this road used to be closed 6 months a year, such was the havoc caused by the South West & North East Monsoons, but now this crucial highway bordering both China & Myanmar is almost an all-weather road; nevertheless, don’t be surprised if the road closes down for days if there is a bad landslide – and don’t trust your 2WD car to always pull through. When it rains, waterfalls bathe your car. River “art” – stop awhile just before the Hawa Pass near Tongkham to get a panoramic view of the rivulets cutting the country side before the Lohit River merges into the Brahmaputra River. You thought Hawai is in America? No, Hawai is also the HQ of the Lohit District of Arunachal. Walong looks the prettiest of them all, where the river widens out into a small valley. There is even a hot water spring in this area. Kibuthu is perched close to the Indo-China border, but the road goes further east to Kaho, the Easternmost motorable point in India. The first sunrise in India is 2+ hours earlier than in the western most point of India in Kutch 4000 kms away. Be prepared to be a backpacker on this highway, be happy if you get a cuppa chai, if you get a hotel room, you won the toss – and the match too! Go east. Go to the place which gave Arunachal its name – the Land of Sunrise! Once upon a time, there was a bridge constructed by Lord Rama to cross the Palk Straits in the Bay of Bengal to Lanka to rescue Sita. That bridge is gone, but the quest to reach out as far out into the ocean continues. But the full story first. 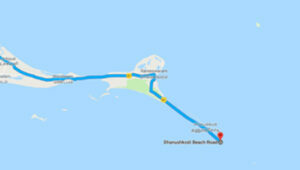 The East Coast Road runs along Tamil Nadu’s coast from Chennai to Kanyakumari. Branch off at Ramanthapuram towards Rameswaram. It is a lovely road, and you could detour to visit the beautiful Kushi/ Aryaman beaches. After Mandapam, you cross into the Rameswaram Island via the Pamban Bridge – the extraordinary rail bridge that runs alongside was the only link with mainland India for several decades (India’s first & longest sea bridge for a long time, since the Year 1914) till this 2.5 kms long road bridge was constructed. The rail bridge still has the bascule section which lifts up to let ships sail underneath. Beyond the narrow streets of Rameswaram town, this highway runs straight as an arrow to Dhanushkodi, the tip of India. Earlier, the road used to end abruptly before the ghost town of Dhanushkodi, the victim of a massive cyclone/ tsunami in the ‘60s that erased the town and the erstwhile rail terminus from the map, but in the last 2 years, the road with sea on both sides has been extended –– till the point where you can see the lights of Talamannar in Sri Lanka! The seas are beautiful, the sand white & the thrill of being at one of the most prominent sea points of India are exhilarating. Be there! Is this where Hanuman jumped the seas to rescue Sita? Camels. Sand Dunes. Searing Heat. Miles & Miles of unending horizon. Jaisalmer to Tanot via Ramgarh is a 100 km drive in the Thar Desert. The road slices through sand dunes, sand storms cover the road with sand and camels dart across the road. The Tanot Mata temple is an unpretentious place, but the border with Pakistan beyond beckons. Note to obtain suitable permits, which are often denied. The BOP609 is one of the touristy border posts. You can also branch off to visit the Longewala sector, one of the key battlefields of Indo-Pak wars and the subject of the famous movie Border. 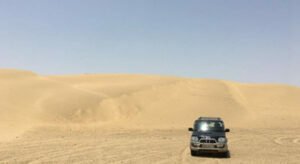 You don’t have to go all the way to Dubai or Dakar to drive in the desert, Incredible India too has it in good measure. Don’t go sand dune bashing on your own. Photos in this article are courtesy the HV Kumar – Fan, Forum & Message Board on Face Book, and credited to Lalu KS, Nilanjan Ray, Rohit Bhogle, Poornapragna Gudibande, Kothanda Srinivasan & Gayatri Mayne Vohra.